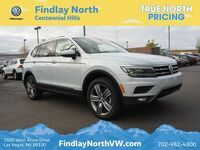 The all-new 2018 Tiguan was designed to meet the changing needs of American drivers, adding a more spacious interior, flexible seating, and high-tech infotainment and driver-assistance features. To highlight the changes to the reimagined Tiguan, and to help drivers decide which model they prefer, we did a comparison of the 2017 Volkswagen Tiguan vs the 2018 Volkswagen Tiguan. 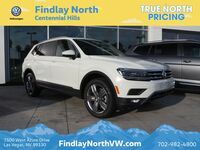 Both the 2017 and 2018 Tiguan sport the same engine, but different transmissions—resulting in changes to horsepower and torque. Both models also offer 4MOTION AWD, but the 2018 model’s system features Active Control with Selectable Driving Modes. 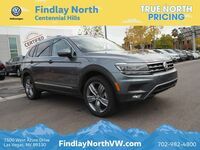 The 2018 Tiguan is 10.7” longer as well, offering an optional third row for seating for seven and a 57% increase in cargo space. Finally, the 2018 Tiguan offers driver-assistance systems for the first time in the model’s history. 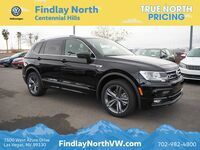 The all-new 2018 Tiguan also received a major design overhaul in addition to changes in size, technology, and capability. The Tiguan’s exterior features a wider, lower stance with stronger, sharper character lines and eye-catching LED lighting. The Tiguan’s interior has been reimagined and refreshed with a new cloth seat pattern, a driver-oriented control center, an 8” touchscreen display, and the newly available Volkswagen Digital Cockpit Display. 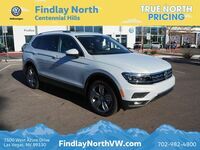 The 2018 Volkswagen Tiguan will be available in eight sophisticated color options. Trim level and pricing information for the 2018 Tiguan has yet to be released, but it is expected to cost only slightly more than the current model. 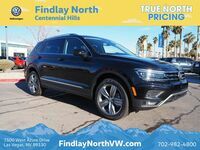 Get ready for affordable adventure with all the comfort you need—the 2018 Tiguan will be available for sale sometime this spring. 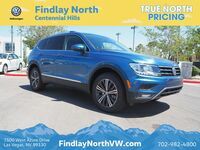 Contact Findlay North Volkswagen for more details about the availability of the 2018 Tiguan.